Bearers of the Kombat Pack will receive their final treat this week, with the infamous Black Dragon elemental Tremor set to join the Mortal Kombat X roster this coming Tuesday. Sporting a completely re-designed overall look when compared to his debut appearance in Mortal Kombat: Special Forces, Tremor will be available for general purchase a week later starting June 28 for US$4.99. Tremor becomes the fourth and last downloadable kombatant to join the fray after a successful fan petition titled “Feel The Tremor.” The release of Tremor follows a hugely successful line-up of DLC that included horror icon Jason Voorhees, the Edenian traitor Tanya and the illustrious return of the grotesque Predator. 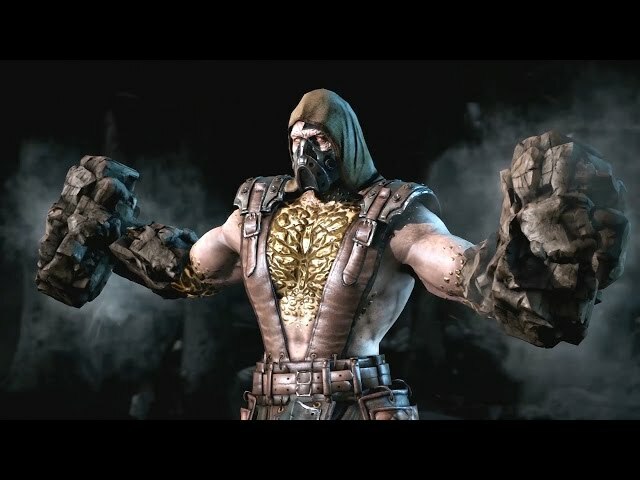 Tremor has the powers of an Earth elemental: he can create earthquakes, form stone and lava projectiles and shape the ground to suit him. His current status with Kano’s Black Dragon clan of arms dealers is unknown, as a recent mission seems to have created much animosity in Tremor toward both Special Forces and Kano. Keep it locked to Kamidogu as we continue our in-depth coverage of Mortal Kombat X. Expect to see a full guide for Tremor soon after launch day, along with his biography, full moves list, tower ending and finishing moves captured in full high definition at 60 frames per second.